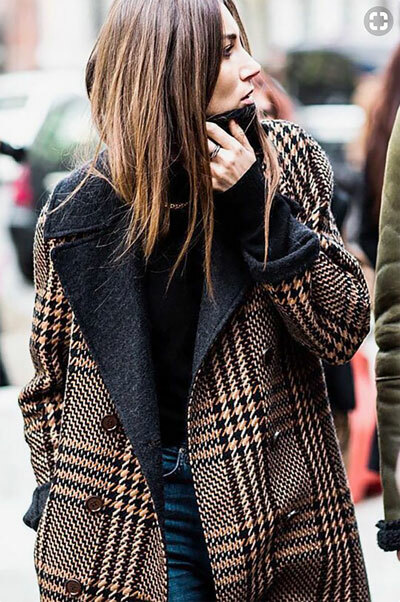 Come fall, a checked print coat is all I'll need to look on point everyday single day! It will instantly update any outfit and make a spot on statement. I also love the idea of throwing it over other graphic prints like dark florals, stripes or gingham for more printasticness. While these checked toppers from Balenciaga and Prada are amazing, I also think these by Topshop, Zara, Stella McCartney, and Baum und Pferdgarten are pretty darn great. Does anyone know where the tweed coat in this picture is from? I love the tweed and the grey lining. Where is the coat in the picture from? Please le me know what company makes the topper shown in the photo, price and where it's sold. Thanks. It's Etro 2016. They have other checked coats this year, but not this particular pattern that I can see. I love that it looks reversible, but again, nothing like that this season. It's a full-length coat too. Please add if anyone find a 2017 version. Thanks!